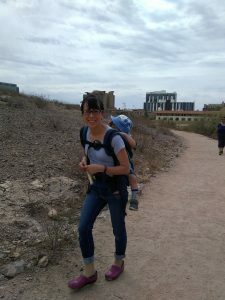 Climbing up “A” Mountain at Arizona State University in Tempe, AZ. Wilshire Matute made it to Arizona in March. We traveled to Scottsdale, AZ to stay with friends. Amongst the highlights: Spending time with our friends’ dogs, Annie and Tesla; seeing abandoned bus shelters; and going to visit the McCormick-Stillman Train Park. If you’ve got a kid into trains and live anywhere near Arizona, let me tell you about the McCormick-Stillman Railroad Park. 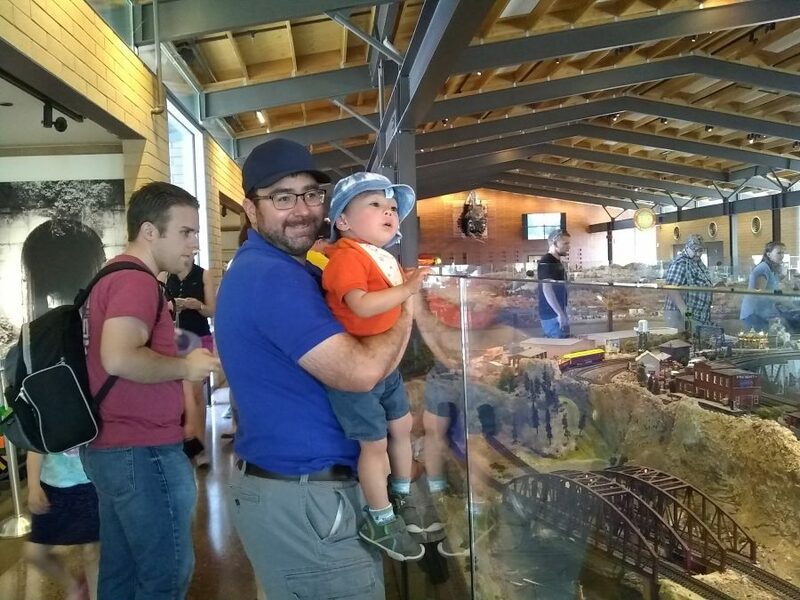 It’s not just any park: It’s a 30-acre holyland for train aficionados of all ages located in Scottsdale, Arizona, about 10 miles outside of Phoenix. And let me tell you why it’s amazing. 1. There is a train ride! Tickets to ride the Paradise & Pacific Railroads are just $2 a piece. The wait is reasonable. And it didn’t terrify my child. 2. The “Model Railroad” exhibit…which is a 10,000 square foot building with four model train exhibits, apparently managed by separate railroad clubs. onus: This space is air-conditioned – a must in the desert heat. We didn’t have time to play in it, though many kids looked like they were having a good time. 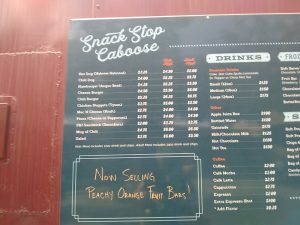 Menu for the Snack Stop Caboose. Click to make large. Tip: Bring your own food or study that Snack Shop Caboose menu above to see if you can eat anything on it. Pass on it if you are gluten-free or have a nut allergy. There is a restaurant nearby but that necessitates either moving your car (read: putting your kid in a carseat and being that person who drives across the street) or dashing across an 8-lane road and hoping everyone stops in time. There. I said it.